Water Street Home Getting In Touch With The Environment Is Child’s Play! As children, adults or both, we’ve all been part of this dialogue in one form or another. With more TV programming available every hour of the day, and video games offering every ‘real-life’ adventure imaginable, it feels like getting kids (and some adults, quite frankly) outdoors is an increasing challenge. Most of us know the concerns this relates to in terms of childhood obesity, deterioration of social skills, and other health issues. But there’s another major issue driven by the ‘indoor trend’ that’s seldom talked about: depletion of natural resources. While it’s true, spending all day in front of the TV doesn’t directly deplete water supplies – for several generations now, the practice has been diluting a sense of environmental responsibility among adults, as well as the children that will one day be responsible for our planet. To help combat these issues, the American Water Charitable Foundation provided four grants to underwrite local nature-based play spaces across American Water’s nationwide service areas. The grants are being administered as part of the Foundation’s partnership with the National Recreation and Park Association (NRPA), for the Building Better Communities signature grant program. Building Better Communities was developed to help people get back outdoors, and back in touch with the environment. The program is initially focusing on building or enhancing nature-based playgrounds and natural play spaces for children, and will connect and educate people on environmental stewardship practices related to water. The City of Belleville, Ill. received $109,000 to fund a 17,000 square-foot nature-themed play area within the 27-acre Bellevue Park. The area will tie into the lake at Bellevue Park, where the city’s summer day camp will also use the area for play and outdoor education sessions on various topics such as water, water fowl, butterflies/insects, trees, plants, etc. The Lackawanna Heritage Valley Authority in Scranton, Pa. received $150,000 to build a trailhead park and playground along the Lackawanna River Heritage Trail, which is part of a 70+ mile trail system. The playground will feature elements that are ADA-compliant to be inclusive to children with disabilities as well as provide a water-learning experience to help instill a love and respect for the environment. The equipment chosen will be nature-based and environmentally friendly to enhance the landscape and the river adjacent to the project. The Pleasant Valley Recreation and Park District in Camarillo, Calif. received $75,000 for the Camarillo Grove Park, an urban park and location for children to interact and learn about nature. 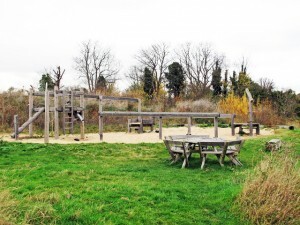 The district is currently in the process of enhancing the only nature-based park in the area for the purpose of promoting outdoor education and environmental awareness. The funds will be used to assist in completing an outdoor interpretive nature center for school-aged children, which will be the only nature center of its kind within a 35-mile radius of this area in Ventura County. The Brunswick Redevelopment and Revitalization Committee in Brunswick, MO. received $50,000 to expand the existing Brunswick Downtown Courtyard’s water management area to develop natural play spaces and a venue for environmental education events. In 2012, with funding from Missouri American Water, the courtyard was built to promote water conservation via the use of rain gardens, rain barrels, downspouts and gutters. The success of the courtyard has prompted the need to enlarge the area onto an additional 6,000 square feet of land to include exploratory play features, first-hand observation/ interaction features and an educational event venue. The beauty of Building Better Communities is that it doesn’t expect children to study the environment, become champions of the sustainability cause or overhaul their way of life. It simply encourages kids to do what kids love to do – PLAY! Research shows that children who play in and explore natural environments often adopt conservation and sustainability values as adults. In other words, by immersing children and their parents in the beauty, functionality and fun of the natural environment, we can nurture greater respect for it, as well as a sense of responsibility for protecting it. 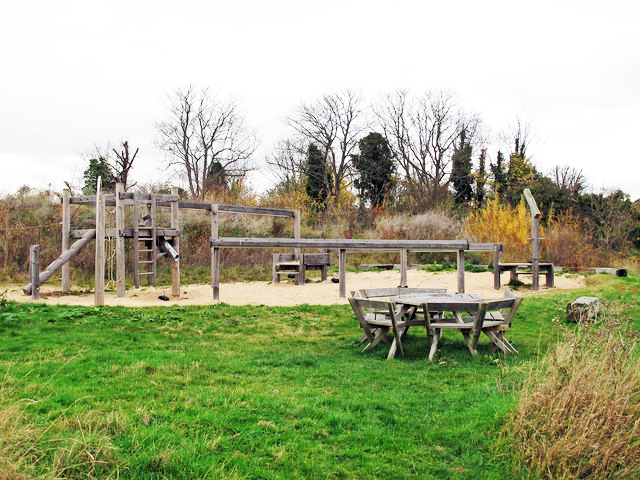 Moreover, with these play spaces incorporating everything from sensory gardens and hill slides to natural climbing walls, Building Better Communities has the ‘competitive edge’… offering truly unique experiences you simply can’t have with an Wii, Playstation, or X-Box! $2.5 million is an investment in the present and the future, in individuals and the planet. By helping communities get back to basics, they can get ahead on the road to greener, sustainable living.